Jewish Soviet Army soldiers honored for sacrifices, seven decades late – J. Six Jewish soldiers who served in different military organizations for different countries fighting different wars shared the stage with 11 volumes, bound in red, holding the names of more than 100,000 Jewish Soviet Army soldiers who died in World War II. Those whose names fill the pages of the “Book of Memory” were never identified by the Soviets as Jews and didn’t receive proper Jewish burials. About 90 people came to honor their memory at “Lost Kaddish,” a panel discussion and exhibit held May 3 at the Oshman Family JCC in Palo Alto. Program organizers said it was the first time the local Jewish community has held an event to remember these soldiers and to commemorate Victory in Europe Day (V-E Day), celebrated May 8 each year to mark the Allies’ formal acceptance in 1945 of Nazi Germany’s surrender. Bay Area residents Vitaliy Isaakovich Aizenberg, 91, and Alexander Zakharovich Mogilever, 86 — Jewish Soviet Army veterans of what is known in Russia as the Great Patriotic War — attended the program. “As far as I know, the Jewish community hasn’t done anything like this before,” said Irina Klay, Russian Jewish Community program manager at the S.F.-based Jewish Community Federation, which sponsored the event. The program was one of two commemorative events. 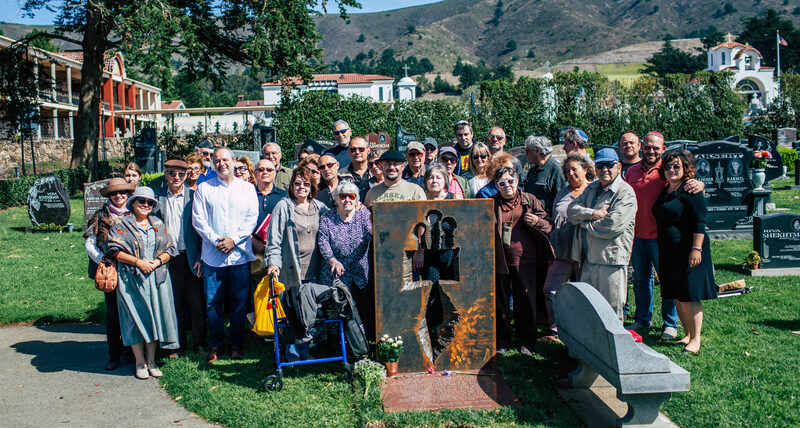 The second one, “Kaddish for 100 Books,” will be held at 2 p.m. May 15 at the World War II veterans’ plot at Hills of Eternity Memorial Park, 1301 El Camino Real in Colma. Some 100 duplicate copies of the “Book of Memory” volumes will be buried, in keeping with the Jewish tradition of proper disposal of sacred writings. At the end of the panel discussion, the audience stood to do just that, led by Rabbi Ilana Baird of the Addison-Penzak JCC in Los Gatos, Rabbi Emeritus Sheldon Lewis of Congregation Kol Emeth in Palo Alto and Rabbi Shimon Margolin, CEO of the Russian-Speaking Jewish Community of the San Francisco Bay Area. 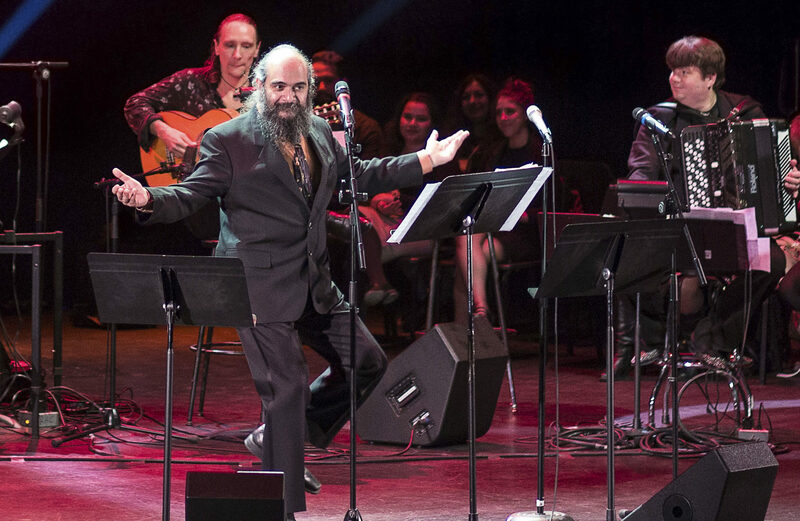 Then Jacob Berger, who fought with the IDF in the Six-Day War in 1967, along the Suez Canal in 1968 and in the Yom Kippur War in 1973, led the audience in singing “Hatikvah,” the national anthem of Israel. The panel consisted of six soldiers retired from or in the reserves: D. Peter Gleichenhaus and Arthur Rinsky, U.S. Army; Eugene Fratkin, U.S. Marine Corps; Vladimir Mandrusov, Soviet Army; and Jacob Berger and Dr. Nikolaj Wolfson, Israel Defense Forces. Its purpose was to spark a generational connection through the telling of heroic stories of Jewish soldiers. In conjunction with the panel discussion, photographs and personal stories of Russian-Jewish survivors of World War II — part of the Speak Memory Project — were on display. The exhibit is the work of two photographers, Marina Eybelman of San Francisco and Yuliya Levit of New York City. Moderator Milla Lvovich, a board member for Hebrew Free Loan who also works with the JCF’s Business Leadership Council, grew up in the Soviet Union and said she never learned the whole story about World War II in school. During the discussion, Lvovich noted that though about a half-million Jews served in the Red Army — many volunteering for service at the front — the Soviet military continued to insist Jews were not fighters, that they were “book” people or office workers. 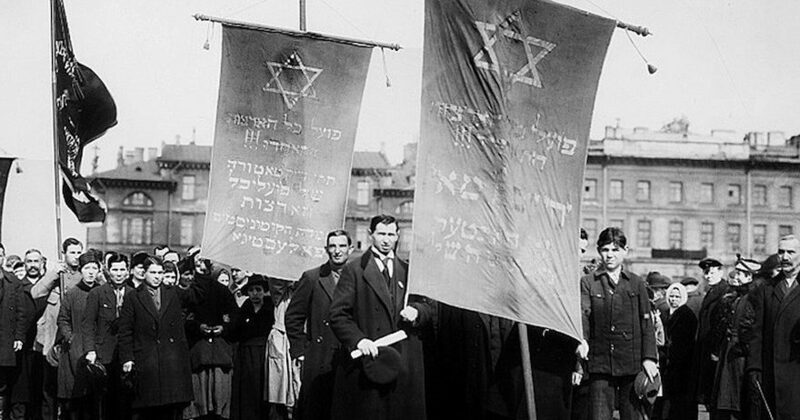 What was the role of Jews in the 1917 Russian Revolution?